This weekend, former WWE star Jake Hager (aka ‘Jack Swagger’) made his professional mixed martial arts (MMA) debut (highlights here) on the main card of Bellator 214 from The Forum in Inglewood, California. Hager, a highly successful amateur wrestler, made short work of JW Kiser by submitting him with an arm triangle. He’s now set to rise up the ranks in the Bellator heavyweight division, and his MMA future seems bright. However, he apparently made some significant sacrifices to get there. So Hager had second thoughts about making the switch to MMA. But the moment of triumph he experienced at Bellator 214 ultimately won out. Indeed, it was a grand stage to make his debut on. The competition should only get much tougher from here on out. 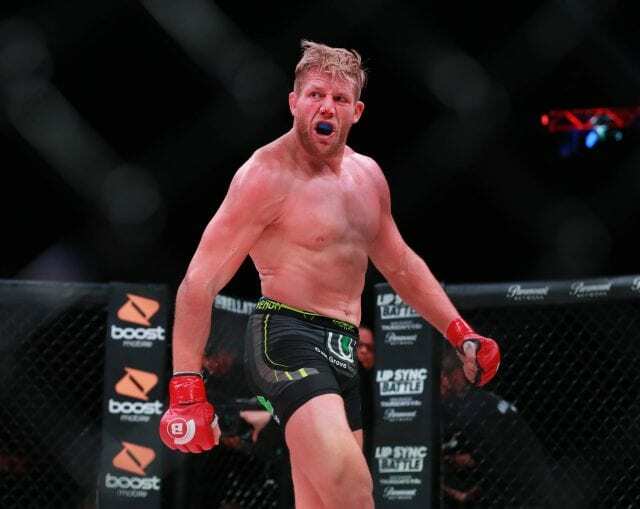 Jake Hager — aka @RealJackSwagger — tells @arielhelwani he wants to return to the cage in three months. Hager is the type of name Bellator has often promoted heavily on their cards. He’s a semi-famous personality who established himself outside of the Bellator cage. He’s also taken a big pay cut to be there. That signifies his readiness to prove himself in the sport of MMA. That’s going to get tougher and tougher as his opposition improves. Hager appears committed to the long haul. 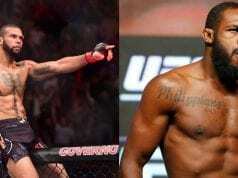 He also showed he has at least some of the skills to become a solid MMA competitor. Fans will get to watch at least five more of his fights to see if that’s true.